PLOVER, WI – The Wisconsin Rural Water Association (WRWA) recently held its annual Technical Conference in Green Bay, Wisconsin. Over 1,200 water & wastewater systems and industry personnel met for four days exchanging ideas and technology through technical sessions and exhibits. 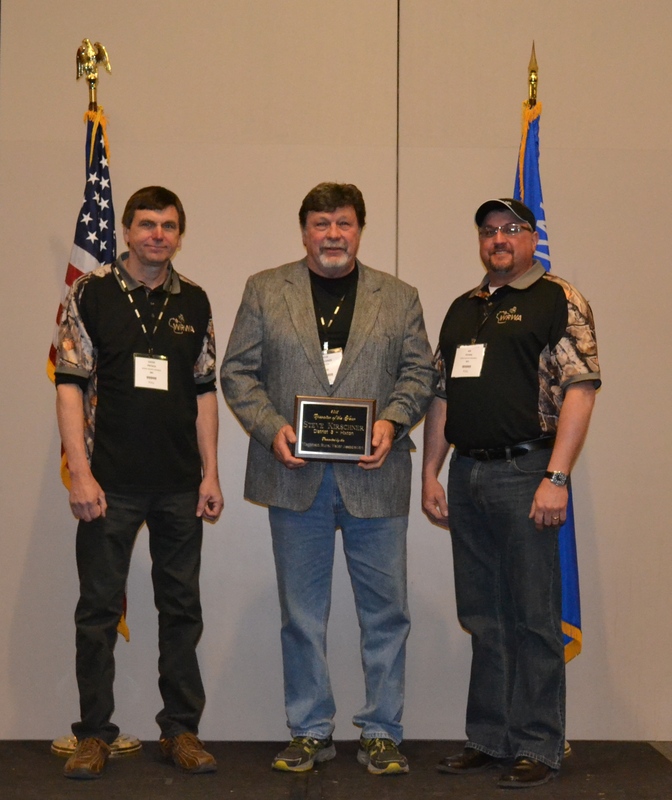 At the WRWA conference, Steve Kirschner of the Village of Hixton received the Association’s prestigious 2015 District Operator of the Year Award. This award is presented each year to individuals that demonstrate excellence in the field of waterworks operation. The Wisconsin Rural Water Association is a non-profit organization representing most of the water and wastewater systems in the state. Its mission: “Assisting, educating and representing our members in the wise use of water resources”.